Rakesh Prasad Chaudhary is a freelance journalist working in south Nepal. 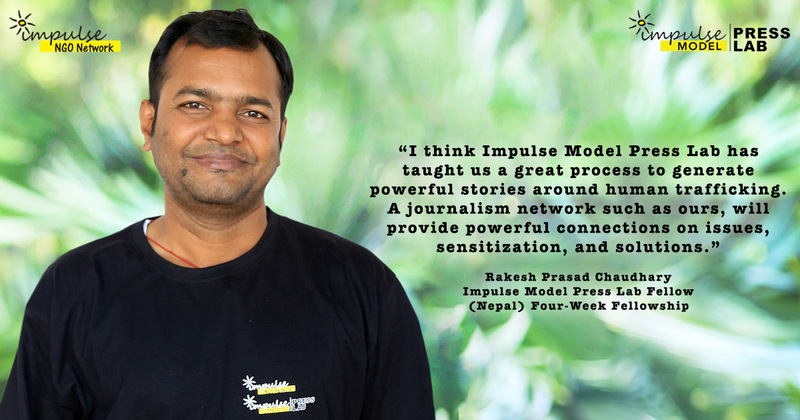 He has completed a diploma in online journalism from the Nepal Press Institute and has undertaken training with the International Center for Journalists (ICFJ) USA, the Centre for Media Ethics (CIME) UK, and the Institute of Science Journalism (ISOJ), India. Chaudhary has worked a news reporter for HBC FM, Nepal FM, Image Channel, Outline news service, Samay Weekly, Himalyan Times Daily, Biswo Jagaran Daily, covering a range of issues related to gender, religion, women’s rights, children, health, education, environment, corruption, and freedom of information. He is currently a freelance reporter and writer for Gorkhapatra daily, Madheshvani weekly and Jaleshwar Today Daily. Chaudhary speaks Nepali, Maithili, Hindi and English, and has extensive experience reporting from the Indo-Nepal border on human rights, arms, drugs and trafficking.